Metamucil is a secret weight loss method which is relatively little known, and on which relatively little information is generally available, either online or elsewhere. 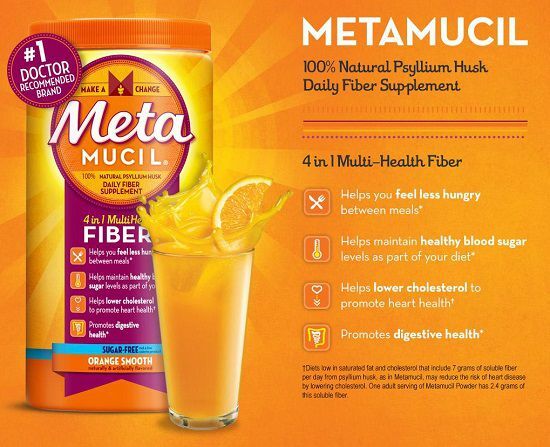 Metamucil is simply a non-soluble fiber. It can make you feel full but has little or no nutritional value. Unsweetened Metamucil has about 5 calories per serving. 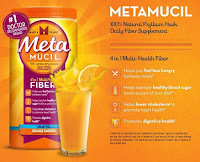 Metamucil is powdered Pysilliun outer hulls, and has one of the highest fiber contents known. Some expensive weight loss products which are designed to make you feel full contain a large percentage of Metamucil fiber in their content. A package of Metamucil costs much less than these plans and is the best choice. You can purchase name-brand Metamucil, or for less money you can get no name or other makers products which cost less and work exactly the same, since they really are the same. However avoid the clear? colored varieties which do not bulk up, and are not effective for weight loss purposes. Follow the makers instructions to make a glass of Metamucil. Drink it down quickly before the mixture can swell up and become hard to drink. If it does thicken you can thin it down by adding a bit more water. Before meals,or any time you are tempted to eat, drink another glassful. You cannot overdose with Metamucil but you can expect numerous trips to the bathroom in the beginning. This effect lessens in time as your body adapts to the greater amount of fiber in your diet. If you are traveling you can purchase Metamucil in capsule form for use when you are hungry. Just take 5 or 6 pysillium capsules with a glass of water. The capsules will expand, so be sure to drink all the water. Do not take more pysillium for at least half an hour since it takes that long for the capsules to expand fully. In 2001 researchers at Tufts University found that there was a link between intake of dietary fiber and weight loss. For people on a low calories diet an increase in fiber intake results in feeling full after meals. Adding just 14 gm of fiber to the diet daily results in a 10% decrease in calorie consumption on average. The result of this can be loss of weight. The American Heart Association suggests consuming 25 to 30 gm of fiber daily for optimum health. The study suggests that an increase of fiber intake to 25 gm or more daily could result is less obesity in the USA. Metamucil products can supply from 12% of the recommended daily allowance (RDA) of fiber for ready to mix Metamucil powder, to up to 20% of the RDA when using fiber wafers. Metamucil is low in calories. Fiber capsules have 2 calories each, and one serving of Metamucil powder provides 25 calories. Metamucil fiber wafers are higher, with 120 calories per serving of two fiber wafers. These wafers are a high fiber, low calorie snack which helps to satisfy food cravings. Other brands of pysillium products have similar calorie content, and often cost less than Metamucil. They are just as effective but any clear colored products should be avoided. The FDA states that if a food contains less than 40 calories per serving it is considered to be a low calorie food, and foods with 100 to 399 calories per serving are considered to be moderate calorie items. All Metamucil products fit into these categories, and are effective with helping in weight loss, as well as providing a healthy quantity of fiber in the diet. Metamucil is considered to be safe and reduces constipation. People have reported feelings of fullness, and for some cases bloating or abdominal pain occurs. Some people are allergic to pysillium just as for some other grain type products, but this is rather rare. Overall Metamucil and similar products are considered to be safe to use, and can be a help in achieving weight loss.